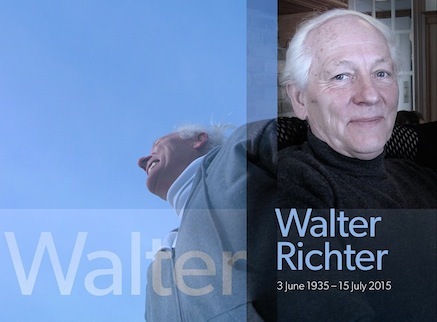 It’s been a difficult week — three days ago, Ev’s father Walter Richter passed into the next realm. The obituary (below) was penned by Ev’s two daughters, Jen and Nicki. Eighty years ago in Bremen, Germany, Max Walter Richter opened his sparkly eyes to become Max and Charlotte Richter’s first-born son. At age 20, he married the love of his life, Elfriede, and they completed their family with the birth of their cherished daughter Evelin (Robert). In 1957, Opa got off the train in Winnipeg while en route to Vancouver, concerned that the weather seemed to get colder and colder the farther west he traveled. Thank goodness for that, he always said, because it was here that his granddaughters Jennifer (Derek) and Nicki (Jayson) were born. Opa and Oma bought their first house on Sark Crescent in 1966. We had so many good times there hearing him singing his silly German songs with his cousins Heinz (Christa) and Fritz (Anne) and, later, with the great grandkids playing with Opa’s train set. Opa and his brother Kurt (Erna) started their woodworking business, Richter’s Woodcraft, in 1984. A skilled cabinetmaker, Opa lovingly crafted our beds, tables, desks, shelves, toys and treehouses. Most impressive, in the 1960s he built our cottage at Hillside Beach by hand. So many good memories were made at Hillside Beach with Opi and Omi, Kurt’s family, the cousins and nieces and nephews. Retiring at age 61, Opa had all his time for his family. Whether travelling to Banff, Hawaii, and Germany, or to Tim Horton’s for coffee and chili, Opa and Oma were rarely seen apart. Opa was so proud of his Evi – he loved going to Winnipeg Beach to pop into her studio to see what she was creating, going to her art shows, and puttering around her yard. He was always there to take Jayden and Sam to Tinkertown and on the Prairie Dog, Haylee to her dance classes, and to joke around with his Maxi-million and Maci. Opa was a kid at heart; he was always getting us in trouble with Oma. Leading us in games of “jumping off the fence into Oma’s snow-covered hedges,” “flipping the kids in the hammock,” “jumping off the boat with our umbrellas,” “treehouse ziplining”… Opa spent his last 24 hours surrounded by his loved ones. For the last time, we marveled at the strength of his heart, we played that game where we count how long he can hold his breath, and we held the hands that had so lovingly built our homes. Ach-ja, Opa. Sleep well. Love Jenny and Nicki.